Metrorail’s business express service operates on the northern line from Huguenot and Strand stations. This affordable yet luxury service guarantees commuters a comfortable, stress-free and enjoyable journey into the central business district. Metrorail supervisors, hosts and security personnel are on board each trip to ensure commuters’ safe and comfortable travel. 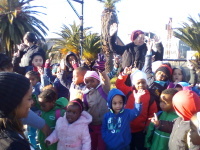 The morning express train leaves Huguenot Station at 6.25am and arrives in Cape Town at 7.35am. The train only stops at Paarl, Kraaifontein, Brackenfell, Stikland and Mutual stations. The afternoon express train leaves Cape Town at 5.05pm and arrives in Huguenot at 6.14pm. A weekly ticket ranges from R330 to R500, while a monthly ticket costs between R835 and R1 290. The morning express train leaves Strand Station at 6.25am and arrives in Cape Town at 7.30am. The train only stops at Somerset, Firgrove, Eerste River, Kuils River and Mutual stations. The afternoon express train leaves Cape Town at 5pm and arrives in Strand at 6.12pm. A weekly ticket ranges from R330 to R500, while a monthly ticket costs between R835 and R1 290. • The service is only available on weekdays. 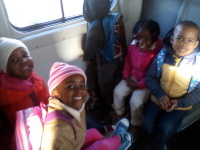 • Weekly and daily tickets are only available to regular commuters. The rail trip from the central business district of Cape Town all the way through to Simon’s Town takes about an hour and a quarter, and takes you through a fascinating, ever-changing landscape. There are few cities in the world that can boast the splendour of travelling along a rugged coastline, where you can spot whales from your train carriage windows and have access to major tourist attractions - all included in the convenience and affordability of the Southern Line. Special MetroPlus train tickets or tourist rail passes at R35 for a One Day and R60 for a Two Day Pass, will allow unlimited train trips between Cape Town and Simon’s Town for the day of validity. Tickets are valid between 08h30 and 16h00, and can be purchased at any of the participating stations. Are you planning a staff party for your company or organisation, but don’t want your people to drive home afterwards? 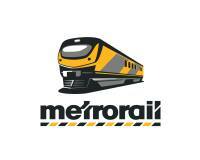 Metrorail offers companies and organisations a reserved coach service, which allows them to book a train carriage for their group’s exclusive travel. The service is also ideal for family outings. The reserved coaches are available from 9am to 3pm daily and trains follow Metrorail’s normal schedule. In addition to Metrorail’s pensioner concession trade union federation, COSATU, pre-arranges for a free pensioners’ train on Tuesdays. Same conditions apply as above. View the 2018 Senior Citizens Programme here. For more information call (021) 448 0044/5.